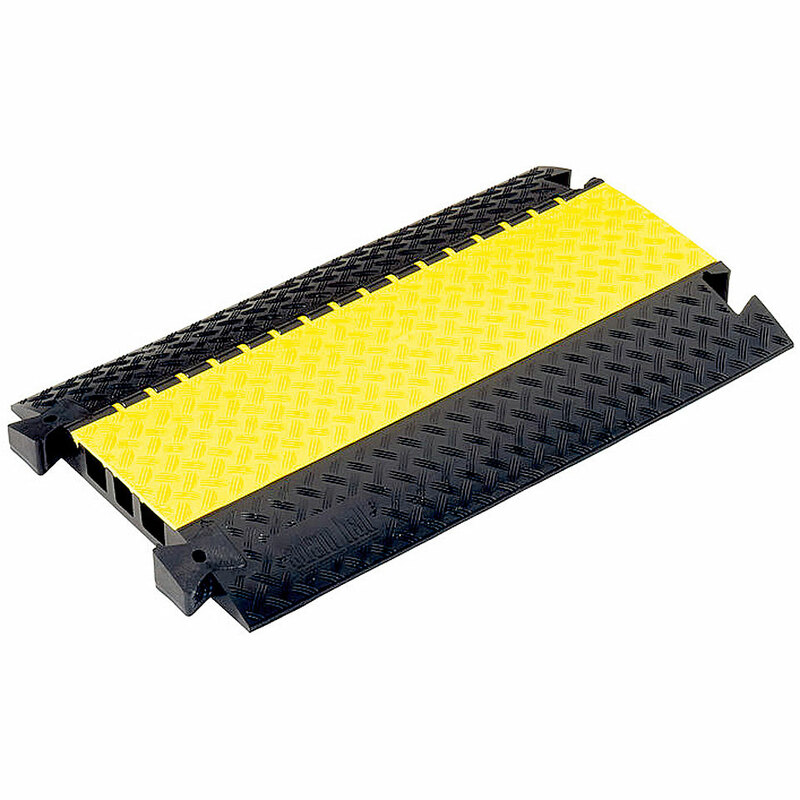 Cable bridge, black polyurethane with non-slip yellow cover. 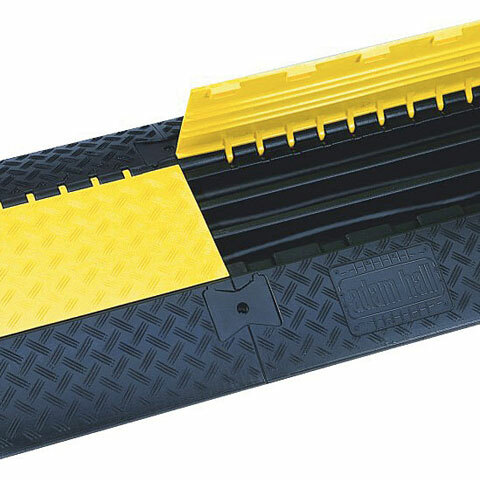 This has a safe load of 5 tons = (20 x 20 cm). The cable bridges can be connected to each other by means of individually available pegs. All bridges are supplied with a pair of connecting pins. The lid closes with an integrated patented zipper. A complete range of accessories extends the Defender III into a flexible cable and multicore protection system. · Show all articles of the brand Adam Hall.